Let’s face it: email marketing is one of the least expensive and highest performing types of marketing. It is shocking that most companies do little to no email marketing. The small percentage of businesses that use email marketing are doing it wrong. In this email marketing guide you will find the largest collection of tips online. All tips are actionable that you can immediately apply in your business. How to Build a High-Quality Email List? #1 – Have a strong call to action. A CTA (Call To Action) is essential in email marketing to encourage the desired action. For an ecommerce business the desired action might be to buy. For a service business the CTA is there to get people to download, call, try or sign up for a service or event. If you want more email subscribers, ask people to subscribe. Use action inducing words within the CTA such as “Subscribe”, “Join”, “Signup”,“Now”, “Order”. “Shop”, etc. Only use one CTA – It might be tempting to use multiple CTAs, but it will confuse the reader. Stick with one CTA to maintain focus. Place the CTA in the top of the fold. Make sure that recipients see the CTA without scrolling. Use a button for your CTA. Buttons are “louder” than links. Test different colors to improve conversion. Surround the CTA button with white space for added emphasis. Keep the CTA under 4 words. Test the CTA. Only through testing will you find the most effective CTA. Every email marketing campaign begins with a list. If you want people to subscribe to your list, you have to give them a good reason. Nobody wants to sign up for another newsletter. Think of email subscription as a sales transaction. You give something valuable and in return the person gives you an email address. If there is no perceived value, people will not subscribe. It is that simple. Receive a gift. It might be a report, a whitepaper, a book, a free webinar, etc. Be educated. You might offer a free course on email marketing. Save money. You might offer coupons. A content upgrade is a bonus piece of information you give to people to sign up for your email list. It is often the first offer you make to convince a website visitor to subscribe. For example, if you have published an article about email marketing tips, you might offer a content upgrade that provides more detailed information on the topic. I have seen companies double or triple their email subscriptions by using a content upgrade. The subscriber should be able to select between plain text or HTML emails. Just because someone signed up for your email list, it doesn’t mean that they want to receive a daily email from you. Give your subscribers an opportunity to set the frequency of your emails. First of all, the welcome email should start with a big “Thank you”. Show your appreciation. If you have an ecommerce business, you could start with a coupon or a discount. Give people a short outline of what to expect. If there is relevant content, share with the recipient. This is an easy one. Only send email to people who subscribed. Using social proof is a great way to improve your email marketing results. Social proof is showing what other people think of your product, service or brand. Each email should include at least one piece of social proof. Being too aggressive is a big mistake in email marketing. If you send emails too frequently, people will unsubscribe. If you are a retailer, it might make sense to send an email every day around the holiday shopping season. But, it is important to find the right balance for your business. Don’t send emails too frequently. Resist to try to sell with every email. Give value with each email. Your emails should be about helping your subscribers. Each email should have one call to action. Here is the simple truth. Most websites fail to subscribe people. There are many ways to get people to subscribe to your email list. Include a link to sign up in the website header. Install an email squeeze pop up. Create landing pages to collect emails. A successful email campaign starts with setting expectations. If you are going to email people once a day, tell them in advance. If you send emails once a week or once a month, explain it upfront. Put a signup form on your Facebook company page. Create exclusive content for those who sign up on Facebook. Share your emails on Facebook. Tell people to send a text message to join your email list. Include a signup link within your tweets. Share benefits of joining your email list. Tweet a “did you miss” tweet. Include a signup link within your welcome DMs. Share how to signup within your Twitter bio. Retweet people tweeting your emails. Thank people who share your emails. Collect emails on the web page you share on Twitter. Pinterest is a huge search engine companies can use to grow their email lists. Use a powerful lead magnet such as a free gift. Share social proof such as testimonials. Offer content upgrades. Give an incentive for Pinterest users to signup. Join related Pinterest group boards. The right email marketing strategy includes growing your list offline. Collect emails at trade shows and conferences. Include a link to subscribe to your email within your email signature. If you have a retail business, post a call to action at each register with an incentive to join your email list. Print an email signup link with an incentive on each receipt. Host your own event and require people to sign up using their emails. Ask your customer service personnel to ask people to give permission to add them to your email list. The website header is a great place to include the email subscribe window. Because the header area is above the fold, it is one of the first things visitors will see on your website. By the time a site visitors get to the footer of your website, they are engaged with your content. Therefore, it makes sense to ask people to subscribe to your email list in the footer area. To get more email subscribers, place the sign up window within the top area of the sidebar. The lower you move it on your sidebar the fewer people will see it. The result is fewer signups. After a visitor reads one of your articles, you have a great opportunity to convert the person to an email subscriber. If you look at your stats, you will find that your “About” page is one of the most popular pages on your website. Your “About” page is where you tell the story about your business. It is also where you get a chance to differentiate your business from the competition. The visitors reading your “About” page are very engaged. Don’t lose these people. Ask them to subscribe. #17 – Should you use a pop up to squeeze more emails? Do you know why successful email marketers use pop ups? Because pop ups are one of the most effective ways to increase subscriptions. Unfortunately, most companies don’t use pop ups to squeeze emails. They are losing out. The welcome mat is a more sophisticated pop up. It basically covers the entire web page. You simply can’t miss it. Many people will tell you that a welcome mat is annoying. The simple fact is that a welcome mat will increase sign ups. Don’t be surprised if your email sign ups double or triple, using a welcome mat. If you are serious about email marketing, you will have at least one email marketing landing page. Make sure that your landing page has a strong call to action. Optimize the copy to maximize conversions. It helps to include social proof such as a customer testimonial. You can promote your upcoming webinar on your website, blog, or social media accounts. You could host the webinar with several strategic partners. You can cross market to each other’s lists. Record the webinar and use it as an incentive to get people to subscribe. Ask for the email at the time of registration for the webinar. Email before and after the webinar. Ask people who signed up for the webinar to share with their friends. Reach out to influencers to share your webinar. Once people sign up for your email list make sure they land on your “Thank you” page. Ask the subscriber to whitelist your sending email, to make sure your emails don’t end up in spam. If you have an ecommerce website, give a coupon or a discount. Explain how frequently you will send email. Include social icons to make sharing easy. Show links to services you offer. Place a download link to a special report, book or whitepaper. How to Maintain Your Email List? Email marketing effectiveness is maximized with segmentation. Segmented email lists are more focused. Such lists will result in higher conversions. Topic – What content converted subscriber? Interaction – Did subscriber open last email? Customers who gave 5 star reviews. Customers who have not reviewed. Before you remove inactive subscribers, give them another chance. Send two or three emails to subscribers who have not opened or clicked any of your 5 most recent emails. If they haven’t responded to your reactivation emails, subscribers who have not opened your five most recent emails should be unsubscribed. Make sure that your unsubscribe page gives people a chance to change their minds. Give people options like changing the frequency of emails on the unsubscribe page. Subscriber data helps you understand your subscribers. First party data such as demographics such as name gender, age, location and email address. Third party data such as behavioral information such as interactions. Segment your subscribers based on interest. You could have subscribers with different interests. For example, some of your subscribers might be pre-sale while others might be post sale. Make sure you include the product they abandoned. It is possible that the user was interrupted by a lost Internet connection or a phone call or some other distraction. Make it easy for people to complete their purchase. Include an image of the abandoned product. Also include a link to the product page. You might also include a discount. You might have prospects, leads, referrals, prospects given proposals, customers, others in different places within the sales funnel. Did a subscriber mention your brand on a social network? Did the subscriber land on your site from Facebook, Twitter, or LinkedIn? #36 – Which call to action did the subscriber respond to? You might have three different CTAs in different areas of your website. It makes sense to have a separate list for each CTA. #37 – Did the subscriber purchase when expected? Segment based on date of purchase. If the average order frequency is 30-days, reach out to all who haven’t placed an order within the last 30-days. This is a very effective email marketing strategy for consumer businesses. You can send a personalized birthday email. Offer a special discount or gift. How to write an irresistible subject line? Including a contrarian subject line is a great way to get attention. For example, “why email marketing won’t help you sell more” is a great contrarian subject line about email marketing. Think about a well-known problem in your industry. What’s the contrarian view? I love to see my name in the subject line of an email. It is a great idea to start the subject line with the first name of the subscriber. Avoid overhyped subject lines. Baited headlines might get more clicks, you will lose subscribers in the long run. People associate hype with spam, and that’s the last thing you want when people read your email. Nothing kills trust more than an overhyped subject line. Great headlines also make for great subjects. A number in the subject line makes your email more specific. Numbers will help your emails stand out. They will be more likely noticed. In your opinion, which subject line is more powerful? Include a call to action in every email. “Last Chance to sign up” for webinar on email marketing. Some of the best action words to include within the subject line are: now, signup, try, buy, download, introducing, get, etc. There is no statistical relationship between subject line length and open rate. But, shorter is better when it comes to mobile simply because of screen size. It is best to test your subject lines on mobile devices prior to sending. A vague subject line will not trigger interest. The result is that less people will open your emails. To improve open rate include “daily” or “weekly” in the subject line. Explain what the recipient will learn from the email. A question in the subject line will increase open rate. An example is “3 ways to improve your email marketing with this tactic”. Something like “Only 5 open seats available”. Humor helps us make connections with others. A great way to write amusing subject lines is by connecting things that don’t go together. Use quotes from songs or movies. Here is the shocking secret about clickbait subject lines. They simply don’t work. Most people are turned off by clickbait. Using clickbait is a great way to get people to unsubscribe. Some email marketers will tell you to avoid “Free”, but it is worth a try. Human beings love to get free stuff. They might work, but your reputation will suffer. Symbols are unusual for subject lines. Special characters like $ or * in certain places might improve the open rate. How to craft the most effective email content? Email like a real person. Write the way you would talk to another person. Even if you think that your business is the greatest, there is no need to rub it in. Stick to measureable things. For example, if you are a web designer. Don’t say that you are the most experienced. Say that you have built 500 websites. One is measurable while the other is hype. Include the subscriber’s first name. When I see my name in an email I am more likely to read it. Email subscribers on anniversary dates or special event days. For example, if someone subscribed 6 months ago or 12 months ago send them an email to thank them. Too many email marketers sell too soon or too often. Give valuable information, then give some more, and more. Only after you have provided repeated value should you ask for the sale. Nothing improves conversions more than customer testimonials. Each email you send out should include at least one testimonial. Stories sell. They sell your business. Stories sell products. Write each email with subscribers’ interest in mind. If I asked for more information on email marketing, don’t send me emails on SEO. Stick to content people are asking for. If you understand your customers you should also understand their pain points. Make a list of the top 25 customer pain points and write an email about each. Offer discounts, coupons or gifts. A powerful image will help you tell the story more effectively. Avoid using stock photos. Email marketing isn’t about what you want or what you need. It is about what you are going to do for your subscribers. Long emails are not read. If your email takes longer than a couple of minutes to read, your email is too long. If you have a lot say, break it into multiple emails. How to trigger a conversation through email? Similar to the “Thank You” page, the welcome email should start with gratitude. Explain to your subscribers what they can expect. Ask for feedback immediately. You can learn a lot from your subscribers responding to your welcome email. Send emails that encourage interaction. Ask questions. Ask for feedback. Insist that your subscribers contact you with questions. 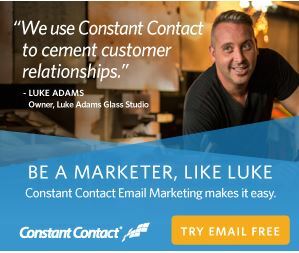 Every email you receive is an opportunity to make a real connection with a subscriber. Your customers are your best marketers. Give them a place in your email campaigns. Ask them to share their experience working with your business. It is important to make your subscribers feel like that they are part of a community. Offer answers to current customer concerns. Words like imagine, remember or suppose help connect with your subscribers. When there is a connection between your emails there is a greater meaning to the reader. Refer to previous emails. Refer to emails you are going to send in the future. What is the makeup of the perfect email? It is is a great way to build trust. Using a pre-header is a great way to offer a preview. A scannable email is easy to read. A scannable email will help the subscriber read the entire email. Use bullet points, whitespace, paragraphs, bold text, and different font sizes. You might reference related content with a link in the body of your email. You might also include a call to action such as download a piece of content. Links increase the chance of interactivity. Do you want people to watch a video? Tell them to click here to watch the video. Whatever you want people to do, you have to tell them. Whitespace is necessary to make your email easier to read. Images and buttons stand out more when surrounded by whitespace. Within your email copy focus on benefits instead of features. Features are about you and benefits are about the customer. If you promised to send a PDF file start your email out with a link to the PDF. Avoid stock photos as much as you can. People can tell a stock photo from a mile. Because most email clients block images by default, they might only display the alt tag. Therefore it is important to have a descriptive alt tag. A call to action must stand out. Use a button. Make it big. The reader should see the call to action button without scrolling. Test several colors for the call to action button. Don’t be shy about the call to action button. Action words are excellent to get a person’s attention. Some of the most popular action words are: Act now, Discover, Save, Instant, How to and Introducing. No matter what anyone tells you about email marketing you still have to test. I might tell you that your CTA button should be orange. Orange might work for Amazon, but there is no guarantee that it will work for you. The only way to get the best email marketing results is through testing. Drive your email subscribers to your social media accounts. Include social media buttons in each email. The easier you make sharing your email the more it will be shared. Include your logo in the top of your email. Start with the most important message. Some people only read the first few lines of emails. Place the most relevant information in the first paragraph. 50 percent of your subscribers might be reading your emails using a mobile device. Make sure that you optimize each email. Peoples’ interests change. If someone wants out let them go. Don’t hide the opt-out link. #101 – What is the reason for your email? The more you know about your prospects and customers, the more effective your email marketing strategy will be. Send a welcome email to each new subscriber. Send regular emails. If you send weekly emails, send them on the same day of the week. Don’t be overly pushy. Nobody wants to be sold all the time. Continue to give value. Segment your list based on interest and behaviour. Remove inactive subscribers. It is better to have 2,000 active subscribers than 20,000 inactive ones. Link each email to a relevant landing page. It is a great way to further engage your subscribers. Integrate email marketing within your overall marketing strategy. Determine the ideal send frequency for your list. Daily, weekly, biweekly, monthly emails are all possible. It is best to test to find out what works best. The key here is to avoid overwhelming your subscribers with emails. If you determine that weekly email is the best for your company, stick to it. Make sure you send emails on the same day of the week. Use similar layout from one email to the next. While plain text emails might seem boring at first, they can be very effective. A plain text email looks like a personal email. It is likely to be read. Email marketing is most effective when you consistently deliver value to your subscribers. If you are not delivering real value do not send the email. Autoresponder emails build trust. They are most effective when including know-how. Autoresponders are great to deliver lessons and tutorials. Autoresponder emails build familiarity and trust which will lead to future sales. A drip campaign offers a great way to stay in touch with your email subscribers. People who follow a drip campaign are more likely to convert to sales. It is important to integrate your email marketing with social media. You can upload your subscriber list to your social networks. Run a retargeting campaign on Facebook and Twitter for those who click your emails. Ask people to subscribe on Facebook and Twitter. Create a closed Facebook group for your subscribers. Bounced email addresses are among the most frustrating facets of email marketing. The sign of a high quality email list is low bounce rate. A bounce rate above 2% deserves your attention. The most important email metric is the open rate. Simply put, the open rate shows you the number of subscribers who actually read your emails. Click thru rate shows you what percentage of subscribers clicked on a link. There is no standard for conversion rate. The most important thing about conversion rate is constant monitoring. If your conversion rate has been at one percent in the last 12 months, you should be alarmed if it is now at 0.5 percent. It is important to compare email marketing with other marketing channels. It is easy to measure ROI when it comes to email marketing. Compare how email marketing performs compared to other forms of marketing. If you use the right email marketing software, much of your work can be automated. Don’t wait until the end of the buying process to ask for an email. Use an image that works well with your promotional offer. Within the first paragraph of your email you must answer the following question: “What is the offer?” Write a strong headline to get the subscriber’s attention. A catchy introduction should follow the headline. Make sure you include the call to action. Include the name of the product, the product image and description within the email. There is a good chance that the prospect will not buy immediately after the first abandoned email. It makes sense to send a daily email for this purpose. The best way to get a customer to spend more money is by upsell. After a purchase quickly follow up with an upsell email. You might sell a book for $47 dollars that is followed up by a $99 course on the same subject. Offer products from a different category. Offer a free gift for repeat customers. Offer exclusive offers for those who ordered from you in the past. If a customer hasn’t bought in a while, send a coupon to encourage the person to buy. Birthdays, graduations are only a couple of examples of life events you can use to market to email subscribers. Reach out to customers and ask for referrals. Most companies never ask for referrals. It is a huge opportunity to get new business without spending more on marketing. One of the worst email marketing move is when a company requires a subscriber to log in to unsubscribe. The result is the subscriber just marks your email as spam. You lose. When you ask people to log in to unsubscribe you don’t just lose a subscriber, you create an enemy. How to make sure your mass emails are delivered? The more you learn about what triggers spam filters the higher your email deliver rate will be. You must consider the negative impact of spam trigger words when it comes to email marketing. Just because a word might be considered a spam trigger, it doesn’t mean that you should never use it. You can experiment with different subject lines and content. I recommend that you test before you write off a long list of potential spam words. You can succeed with email marketing if your email server is blacklisted. When your email server is blacklisted your emails end up in spam. You can see if your email server is blacklisted at MXToolbox. Spam traps are used by ISPs to catch spammers. A spam trap is an email address. It is an email address that doesn’t belong to anyone. It is used to identify email senders who send emails without opt-in. Email harvester scripts pick up these email addresses. When the spammer sends an email to one of these spam traps, the sender is marked as a spammer. This only applies if you are sending an HTML email. Plain text emails look more personal. They look more like an email one friend would send to another. It creates more of a personal connection. There are hundreds if not thousands of email marketing services. Not all of them are reliable. It is best to use an established email marketing service if you want your emails delivered. I recommend Constant Contact. Even if you are running your own email servers you should use an email delivery service. Use your name and/or company name in the “From” are of your email. This should be one easy link to find. A successful email marketing strategy demands permission. Only those who gave you permission should be emailed. Before you send an email test it using a spam checker. Use Mail Tester to get feedback on your email’s spamminess. Another great tool you should try is ISnotSPAM. Spyware and viruses are often attached to emails. Therefore, people are afraid to open emails with attachments. Attachments will land many of your emails in spam. Those that are delivered will often be deleted because people are afraid that the attachment is a virus. SPF records are used as a way to verify the legitimacy of inbound emails and to prevent spam. DKIM (DomainKeys Identified Mail) was created for the same reason as SPF. Basically, DKIM is there to prevent bad guys impersonating you as a sender. When DKIM is set up you are adding another way confirm that it is “really you” who is sending the email.